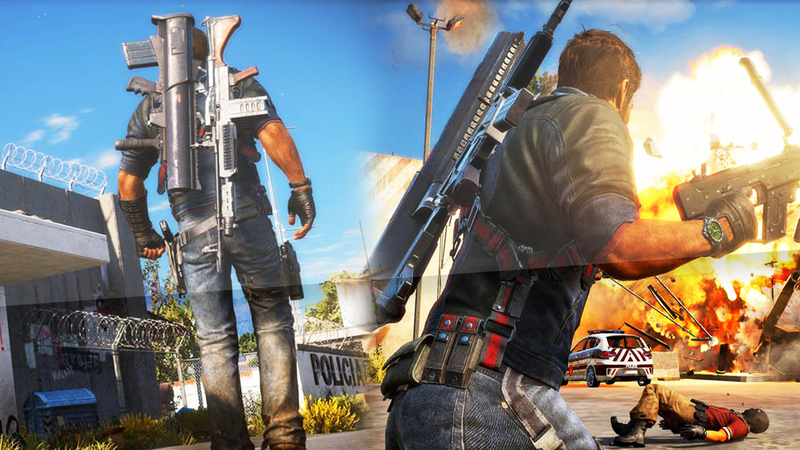 Just Cause 3 is looking absolutely amazing so far, and we haven’t even seen the new Rico in action! but the sad news we have received about Just Cause 3, is that there will be no multiplayer. With no multiplayer in the game this does mean the developers have to make the story gameplay as fun as they possibly can so that this game does not die quick. I would imagine we will receive DLC’s etc, BUT there something I have been thinking about that i feel could make the gameplay experience a lot more fun than it already looks, and this is a FPS (First Person) mode in Just Cause 3! To me this feature is something unique and rare in games like this, and with all the chaos that Just Cause 3 will allow us to cause, experiencing all of this in first person would make it so much more fun. Imagine grappling your way from one building to another in the first person mode, or flying military jets doing barrel rolls in mid air. All of this would just be CRAZY!